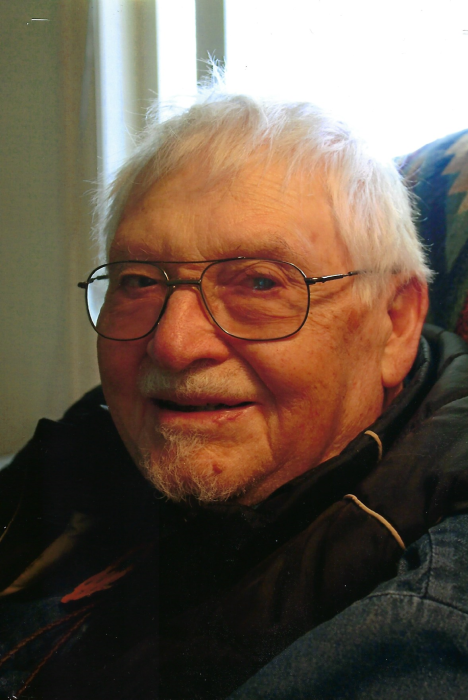 Harold Ernest Hillenbrand passed away at 91 years of age, peacefully at home in Kremmling, CO on Thursday March 28, 2019. He was born December 1, 1927 in Keenesburg, CO to Frank and Irene Hillenbrand and was the youngest of five siblings. He married Betty Jean Tegtman on August 10, 1947 in Denver, CO. They had an amazing 71 ½ years together! He graduated High School in 1945 and joined the Army a year later. He dreamed of being a farmer, but was unsuccessful due to Global Warming. He moved his family to the Denver area and started a concrete construction business. A building boom in Vail and Breckenridge in the late 60’s kept him away from home much of the year. So, he bought a property in Kremmling, Co and built a wonderful home where he and Betty have lived for 45 years. Many happy and memorable family gatherings have taken place there. He retired from the construction business after 28 years and became the fairgrounds manager for the Middle Park Fairgrounds for 9 years. He loved the great Colorado outdoors, hunting, fishing and camping. He and Betty enjoyed taking road trips together. He was a fine leather craftsman and appreciated Native American and western art. He was an avid reader of Native American culture, and Colorado and regional history. He was a lifetime member of the NRA. He is survived by his wife, Betty Jean and children Paul (Vickie), Kenneth (Sandy), Joan Stradley, Roberta (Jerry) Bradley, Bruce (Brenda), Anita (Dean) Schonlau. He has 14 grandchildren and 15 great grandchildren. He is also survived by a brother Francis and a sister Camilla Lococo. He was preceded in death by infant daughter Christine, grandson Joshua Schonlau, Brother Gerald and Sister Jean Fritz. Service: Saturday April 6, 2019 at St Peters Catholic Church, Kremmling CO. Viewing and Rosary at 9:30 A.M. Reception to follow at the Middle Park fairgrounds, Kremmling CO.
Memorial Donations may be made to: St. Peters Catholic Church or Middle Park Medical Foundation.